What to do on a weekend away! Living in Lyon with my Twin sista has been such an incredible experience so far. 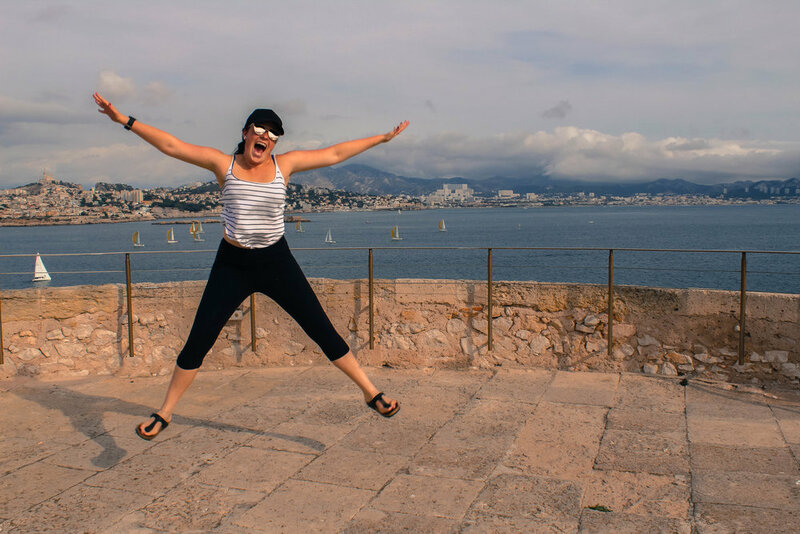 When I first arrived in Lyon, Laura and I decided to take a spontaneous trip to Marseille, as the weather was still warm and we both had never been! We took the SCNF train (http://www.sncf.com/) with our Carte Jeune (which is a card you can buy for 50 euros to get discounts for a year on train travel in France). The train took 1.5 hours instead of the 5 hour bus so we were pretty excited! We took the metro in Lyon to Part Dieu station, then hopped in the train to head south! 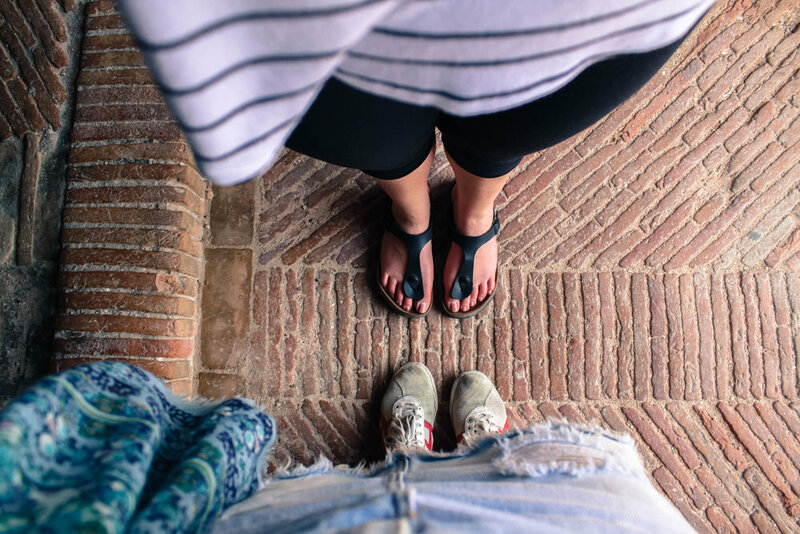 When we arrived, we had heard from many people that Marseille is quite dangerous for pick-pocketing and crime in general... this was proven true and I will explain later on another post. We couldn't check into our Airbnb until 3pm, but we arrived at 9am, so we had a lot of time to kill before arriving. Since at this time, I didn't have a phone plan in France yet, I had absolutely no phone connection (so did not see what was about to happen next coming). We take the metro to the Vieux Port of Marseille and had a coffee and croissant, classic breakfast for us french travellers. As I log into the wifi I get about 100 messages from out Airbnb host that she had to cancel our reservation last minute because there had been a leak in her apartment with about 1 foot of water on the floor. Being tourists, and slightly broke we started to freak out about where we were going to stay... there were only about 1% of reservations left on the Airbnb site, and we kind of just chose the cheapest one. We decided to walk over to the new place and as we start walking I had this suspicion, because of my internal GPS, that our place is up at the top of a giant hill... I was right. This next photo portrays perfectly our vibes at the time. 30 degrees. Early morning. Tired. Airbnb cancelled. 100 stairs left to go. I think we walked about 100 steps up alleys and corridors. The Vieux Port is very beautiful, with a ton of cafes, bars and shops along the board walk. 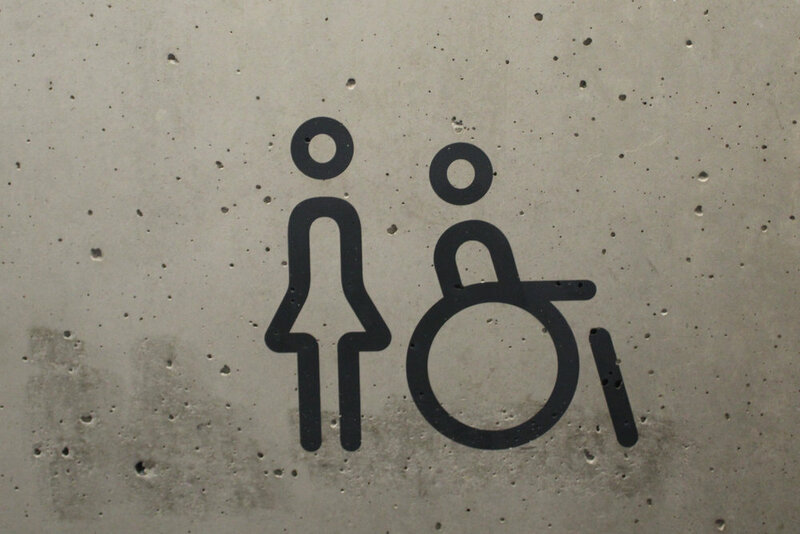 It is accessible from Vieux Port/Hotel de Ville Metro. All you need to do is a grab a coffee "a emporter, si vous plait" (to go). 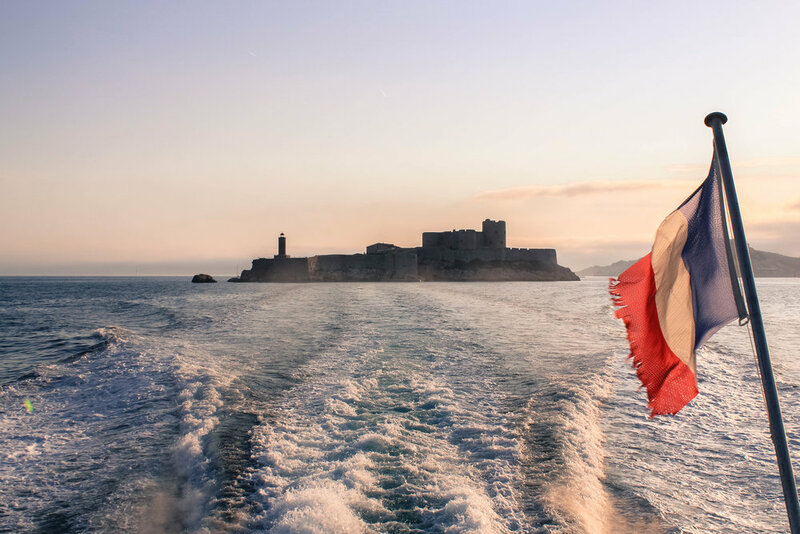 The Château d'If is a fortress (later a prison) located on the island of If, the smallest island in the Frioul archipelago situated in the Mediterranean Sea about 1.5 kilometres (7⁄8 mile) offshore in the Bay of Marseille. You can take the ferry from The Vieux Port and it takes about 15 mins to get there in back. The Ferry costs around 10 euros return, but entrance is free for students and youth under 25! 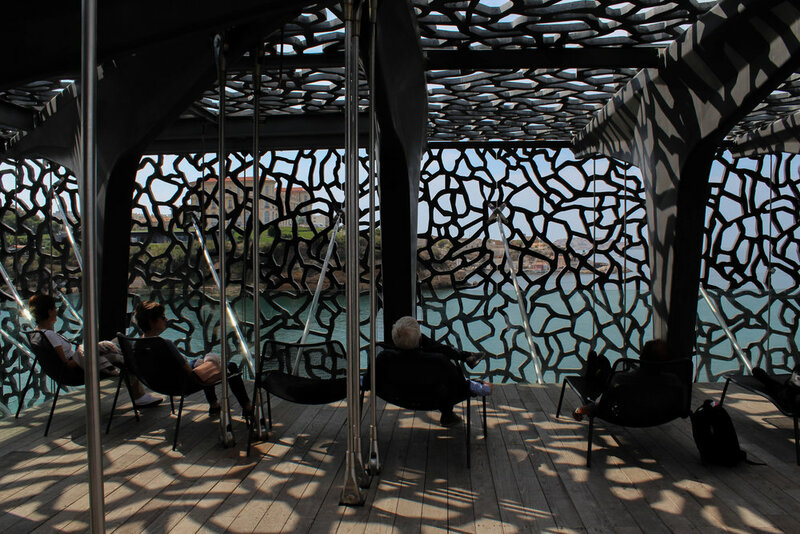 The Museum of European and Mediterranean Civilisations (MuCEM) (French: Musée des Civilisations de l'Europe et de la Méditerranée) is a national museum located in Marseille, France. 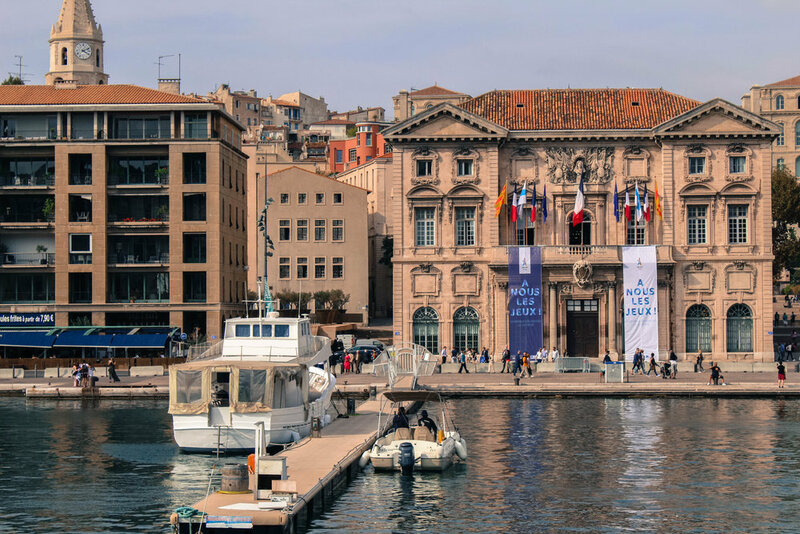 It was inaugurated on 7 June 2013 as part of Marseille-Provence 2013, a year when Marseille was designated as the European Capital of Culture. It has free entrance to the main building and exhibits, with gorgeous views to the sea. You can even drink a coffee at the top and have a relaxed day. I would 100% recommend climbing up to the Notre Dame de la Gare to see the beautiful sunset over the sea. The grand basilica is at the city's highest point, crowned by golden statue of the Virgin Mary by Lequesne. 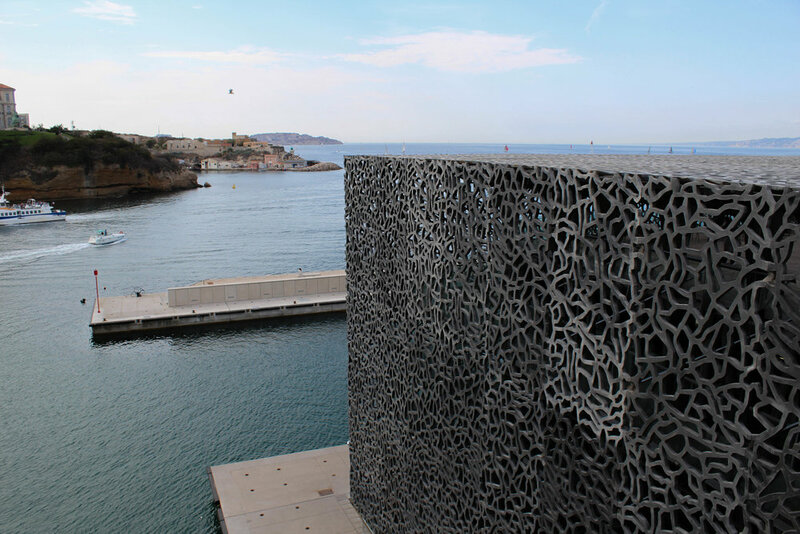 You can either walk up, which is a good challenge, or take the bus up from the Vieux Port. 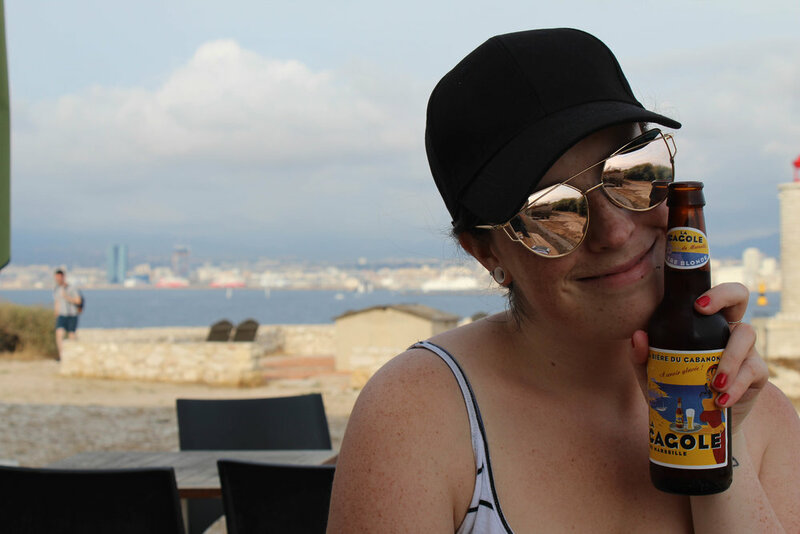 Thank you for reading my post about my time in Marseille!